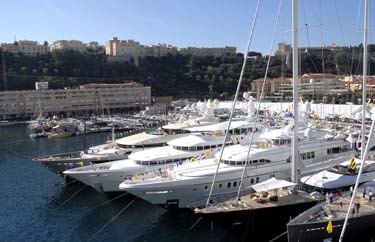 I will again be attending the Monaco boat show which runs from Sept. 21st to 24th. I will be arriving in Monaco the afternoon of Sept. 19th and leaving Sept. 25th. During the show I will be inspecting a number of vessel as I have for the past 15 years and take additional photos of key areas like the engine room, bridge and crew areas which are normally missed. Twitter: As I have done for the last 2 years I will be tweeting reports after I look at each boat. If you cannot be at the show but want more information on a vessel there call, email or Tweet me and I will make sure to inspect her and send you a report. If you will be at the show please contact me so we can set up an appointment to inspect vessels together.